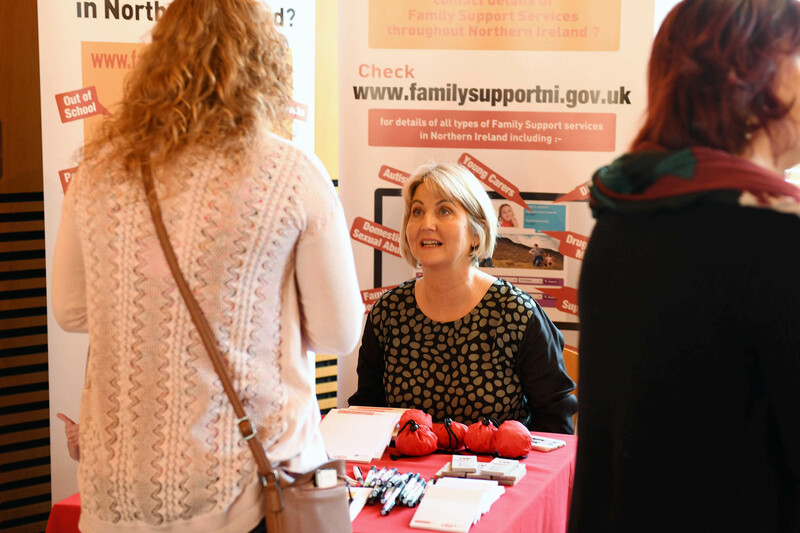 ‘Building Inclusive Services for Children and Young People for services working in Carrickfergus, Larne and Newtownabbey.’ That was the title of a workshop hosted by the Northern Outcomes Group in Mossley Mill on March 1. 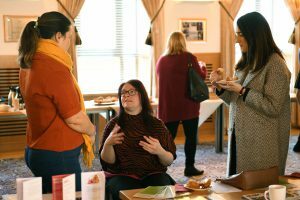 The event brought together a broad range of groups, organisations and stakeholders to share best practice on being open and inclusive. 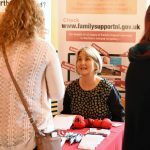 There was a particular focus on how services can be more accessible to children and young people with disabilities. A number of insights were shared, as contributors brought a real depth of knowledge and understanding from various perspectives. Service user Samuel Crothers shared his experience of how the Education Authority’s Youth Inclusion team helped his personal development, and build friendships. “We need to teach young people to be more accepting and inclusive of everyone,” he said, adding that “it is often environments that disable people”. Christine English from Autism NI highlighted possible barriers to inclusion and why services need to be inclusive. She explained the work Autism NI do to help train and inform service providers through their Autism Impact Awards. Ellen Boyd, Customer Accessibility Officer for Antrim and Newtownabbey council, shared examples of good practice and the Council’s partnership work with the May Murray Foundation. Ellen also raised awareness of accessible facilities and play resources available at Antrim Castle Gardens. From the Cedar Foundation, a Charity which supports people living with disability, autism and brain injury, Gillian Boyd presented a video made by the Youth Matters Afterschools project. She also outlined the multiple realities of young people with Autism Spectrum Disorder, and the issue of social injustice. During a panel discussion, attendees highlighted the need to scope how organisations can do more joined-up delivery of training and awareness raising. Participants left with plenty of points of learning and areas to consider. Anecdotal feedback was positive, and underlined a real desire among participants to work together and share knowledge. This entry was posted in northern-og and tagged news/events, northern-og by Valerie. Bookmark the permalink.